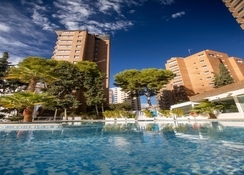 Situated at a distance of 200 metres from the Levante Beach, are the Levante Club Complex Apartments. They are an ideal choice for those looking for a beach holiday. 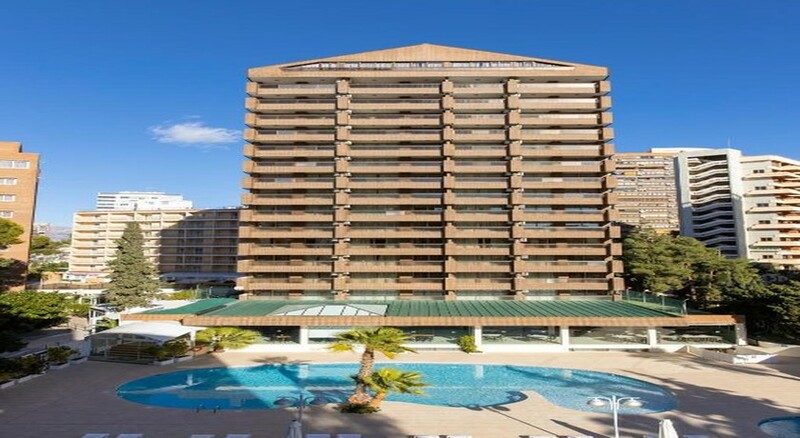 One of the most modern and well-equipped properties in Benidorm, this apartment complex enjoys close proximity to the town centre, which is lined with plenty of shops, bars and restaurants. The apartment complex consists of four apartment blocks, making it ideal for all kinds of visitors- from solo travellers to families. All rooms are enabled with well-equipped kitchens that make up for the perfect self-catering experience. At this contemporary apartment complex, guests can enjoy a perfect beach holiday. 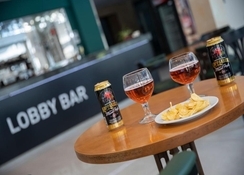 There are a variety of places to choose from: the beer garden, sun terrace, swimming pool, health spa, indoor bar, games room, beauty and aesthetics area and so on. 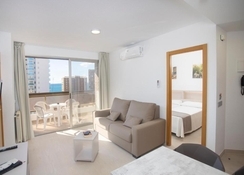 Situated a short taxi ride away from Benidorm- which serves as the ideal base for exploring Costa Blanca- the Levante Club Complex Apartments offer a modern and comfortable stay. 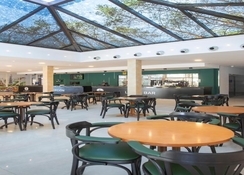 Set amidst beautiful surroundings, the complex lies close to many of the local attractions, including the famous Levante beach, which is merely 200 km from the hotel and a plenty of bars, and shops to keep everyone happy. The complex is located 48 km away from Alicante Airport. The Levante Club Apartments have 35 comfortable rooms that fall under four categories: Studios (for 2 people), 1 Bedroom apartments (for 4 people), 2 bedroom apartments (for 5 people) and Suite apartments (for 5 people). All the rooms make the guests feel at home. They come equipped with a fully equipped kitchen with an electric oven and refrigerator, a bathroom, a living room with TV, central heating, a spacious terrace overlooking the sea, a safe and a telephone with a direct line. In addition to these basic features, the 1 and 2 Bedroom Apartments are further equipped with a lounge/diner and a sofa bed for extra comfort. The Suite Apartment, on the other hand, exceeds all expectations by providing an additional utility room, a patio with a washing machine, and bedrooms with walk-in closets. 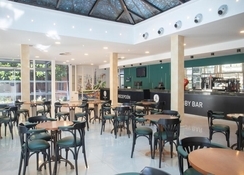 The apartments complex has a buffet style restaurant, which specializes in international cuisine; two snacks bars, which offer light snacks and drinks throughout the day, and a garden with bar service. Apart from the complex’s bars and restaurants, all the rooms have private kitchens, thereby allowing the guests a greater degree of flexibility. The self-catering facilities give the guests an option to prepare their own meals. At this apartment complex, guests can relax in the beer garden, cool off in the pool or recharge at the spa. The complex offers the guests a choice between 3 outdoor swimming pools (out of which one is heated during the winter months), along with a children’s pool. To complete the leisure and wellbeing experience for the guests, there are additional facilities such as a rejuvenating health spa which offers foot treatments, sauna, Turkish steam baths and Roman baths. In the evening, the ‘animation’ team entertains the guests with live music or magic shows. This hotel was horrid rooms very dated and dirty air con and shower didn’t work properly and having to pay an astonishingly high deposit in case we damaged anything was unacceptable as far as I was concerned they probably use this as a way to make extra money. We did get our money back but was dreading it incase they used the air con or other things that were wrong before we got there against us. If anyone goes there make a list of things wrong and take it to reception with you so they know you know the troubles before hand. The beds were terrible plywood with a 2inch mattress on top, balcony doors wouldn’t shut properly so we were constantly worried about being robbed.